It's only been five months since Superman died at the end of Batman v. Superman: Dawn Of Justice , impaled while sacrificing himself to kill Doomsday — but actor Henry Cavill is already teasing the return of the Man of Steel, posting a picture on Instagram that appears to be a close-up of the character's iconic suit, with the short-and-sweet hashtag, #Superman. It's not like anyone expected the world's most famous superhero to stay dead, but it's a bit surprising to see Cavill trumpeting Kal-El's return 15 months out from the November 2017 premiere of Justice League. 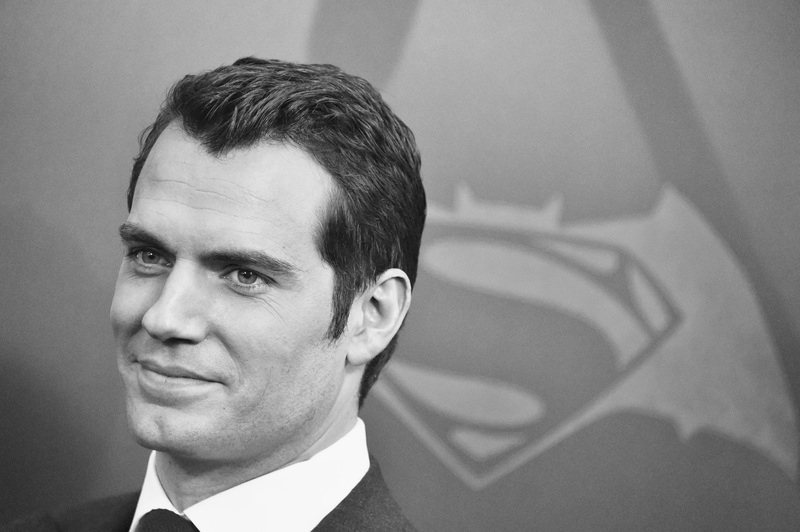 But that's not the most surprising thing about Cavill's Instagram pic; rather, it's the revelation that Superman's suit is black. Gone are the vivid blues and whites we traditionally associate with the Son of Krypton, replaced by a grungy, monochrome black hue… which shouldn't come as a shock to anyone who has been following Zack Snyder's take on the DC Comics property. But why is Superman's suit black, exactly? And what does that mean for Justice League, Man Of Steel 2, and the future of the DC Extended Universe? In fact, Snyder didn't invent the idea of a black-clad Superman for his dark and gritty DC-verse. The superhero has traded his cape in for an obsidian ensemble a few times throughout his comic book history. The most notable occasion on which this transformation occurred is also the most pertinent to this post-BvS landscape. The infamous 1993 "Death Of Superman" arc culminated in the Man of Steel and his archnemesis Doomsday finishing each other off with simultaneous fatal blows — an event which was faithfully recreated under different circumstances at the end of BvS. Immediately following Kal-El's demise, there was a period of time in which four different characters, good and bad, took up the mantle of "Superman" to mixed results. Eventually, the real Superman returned, having recuperated in a regeneration matrix at the Fortress of Solitude. When he made his triumphant entrance, he was sporting noticeably longer hair and a distinctive black suit. In reality, the black suit was Kryptonian battle armor; the dark color was designed to help its wearer absorb the Sun's rays faster and therefore heal more rapidly — a necessity for the still-weakened Man of Steel. So that's it? Superman's dramatic makeover isn't a fashion statement or a harbinger of evil, it's basically just a full-body band-aid for the wounded superhero? Well, maybe. But knowing Snyder's penchant for gloom and doom, it's possible he's about to subvert our expectations of the "Death Of Superman" storyline and surprise us with a deadly twist. One of those other instances I mentioned in which Superman dressed up in a black costume was actually a harbinger of evil: it was when the supervillain Darseid created an evil clone of the hero called Brutaal and unleashed him to do battle with Earth's mightiest heroes. Given that BvS teased Darseid as the Big Bad of the DCEU, is it possible that Snyder is setting us up to anticipate the culmination of the "Death Of Superman" arc — only to deliver us an evil, black-clad clone instead? One of the oft-repeated complaints regarding BvS is that it didn't actually feature enough, well, Batman v. Superman in it; the pair only fought for about eight minutes out of a two-and-a-half hour runtime. One way to make that up to us would be to have the first Justice League movie literally be about the entire team fighting an evil Superman, thus fulfilling the promise that BvS broke. Then the still-untitled Justice League sequel set for 2019 could feature Darkseid as its villain, giving the franchise more time to set him up as a worthy foe before pitting him against Superman, Batman, Wonder Woman, The Flash, and Aquaman. Will the Man of Steel return as an avenging hero? Or as destructive force of evil? We'll find out when Justice League hits theaters next year.